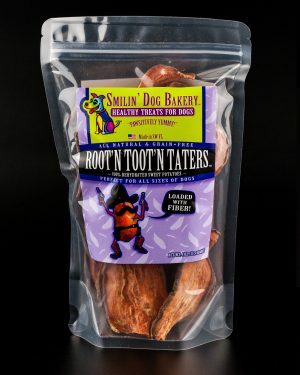 This fiber rich dog treat is becoming one of the favorites here at Smilin’ Dog Bakery! 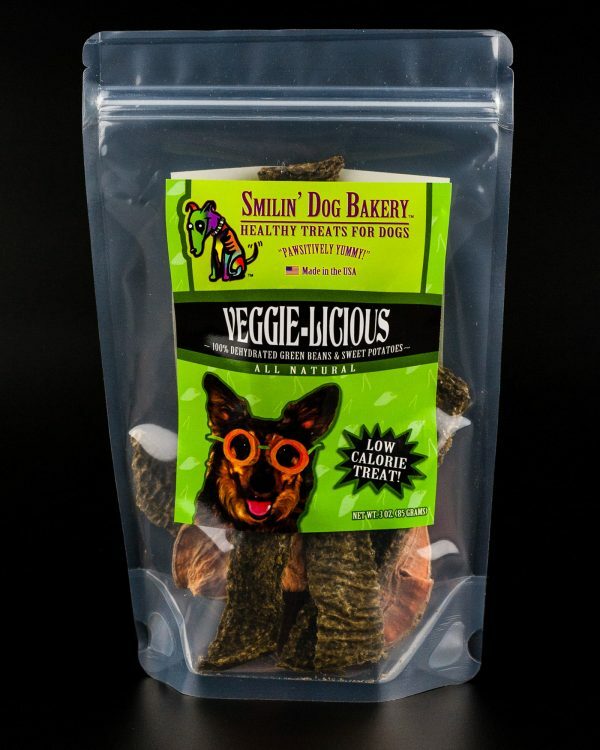 Dogs love the crunch and slightly sweet taste. 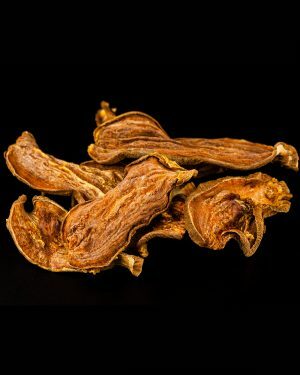 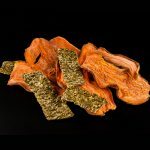 These yummy treats are sliced and slowly dehydrated to retain their beneficial nutrients. 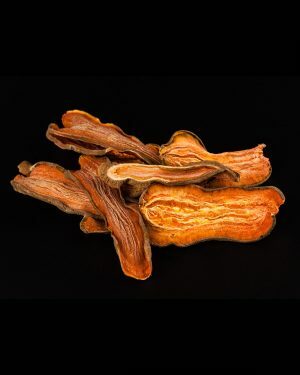 Low in fat if you feel your dog needs a reduced calorie crunchy treat. 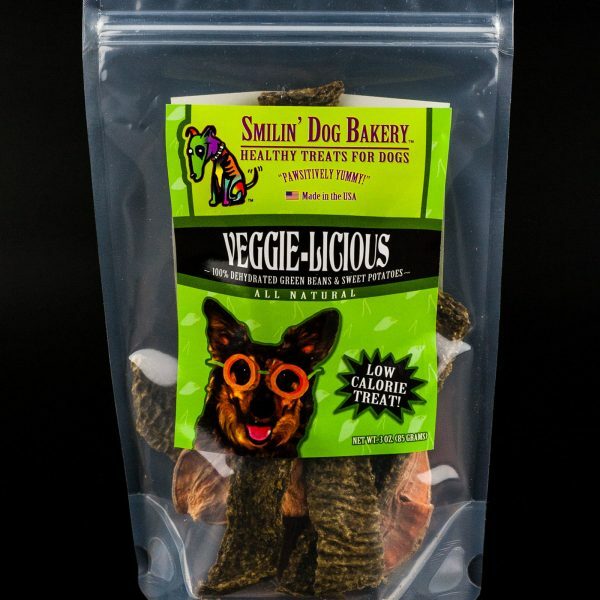 They will get rave reviews with two paws up! 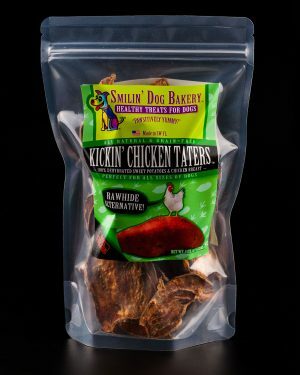 Kickin’ Chicken Taters Dog Treats have won the hearts of many Smilin’ Dog furry friends. 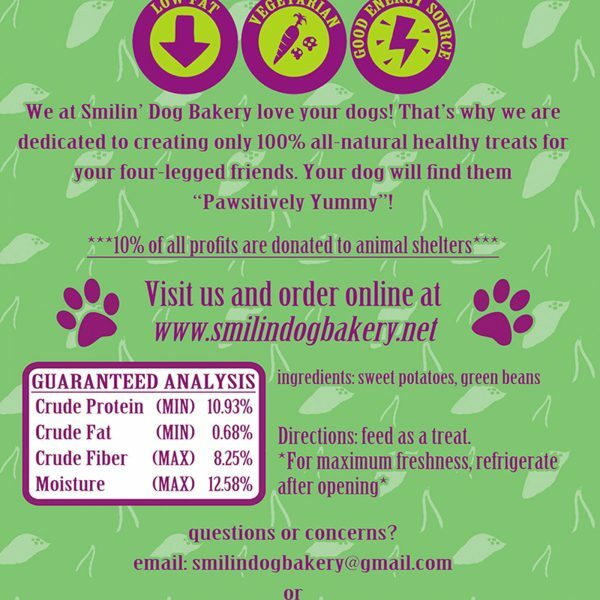 One customer says, “my dog refuses all other treats now and ONLY wants Smilin’ Dog Bakery each day”! 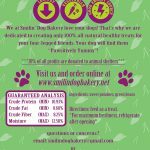 We told you that would happen! 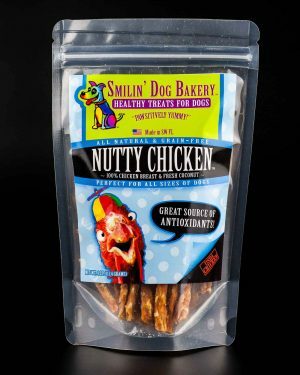 We take fresh cut sweet potatoes and add chicken to the crunchy strip then dehydrate into yummy treats. 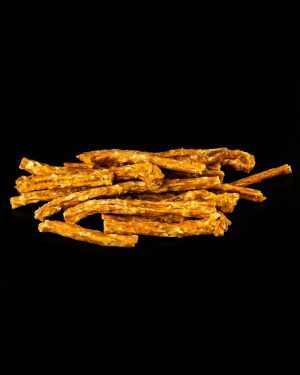 These dog treats are hard to resist and are a healthy alternative to rawhide because of their chewy texture. 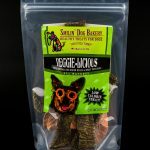 Your dog will love you for buying these!